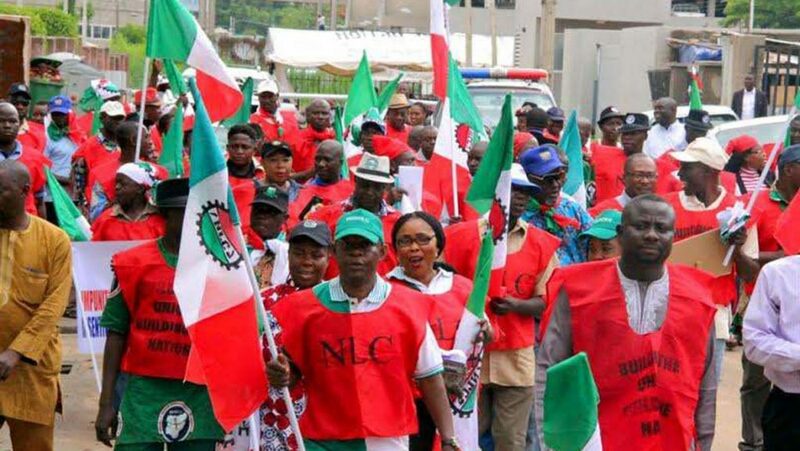 Barring any change of plans and acceptance of proposal by the Nigerian Labour Congress (NLC), the minimum wage payable to Nigerian workers will be fixed at a meagre sum of #24,000, a little increment from the existing #19,000. Nigerians have spent the last decade complaining that the minimum wage doesn’t reflect the realities of inflation and has helped plunge Nigeria into extreme poverty. That it takes a warning strike by the NLC for á raise in minimum wage to even be considered is worrisome. It is no more news that Nigerian workers are one of the most poorly paid on the continent and the world at large. Apart from this poor payment, there is also a non-availability of conducive working conditions as some have not been promoted in the last ten years. The #5,000 increase in minimum will not make any difference. That we have to push this down the throat of Nigerian workers shows the cruel nature of Nigerian leaders. While the new minimum wage is being planned, it is important to state that the existing #19,000 has not been implemented by majority of states in Nigeria including Lagos while several states still owe their workers without implementing the new minimum wage. It simply means the new wage is designed to fail and portends a bleak future for the Nigerian worker. The political leaders have always tried to convince workers that their demands for new wages is untenable and it has emboldened them to state unequivocally recently that they were not elected to pay salaries alone. Sigh! When one compares the exotic and expensive lifestyles of elected officials compared to that of their citizens, the difference is clear. They travel in convoy of bullet proof vehicles, earn several allowances even while they sleep, have access to best medicare outside the country, send their children to ivy league universities and they leave office with several bounty severance packages with nothing left for the workers. What it will take Nigerian workers to earn a decent minimum wage like their counterparts in other developed countries of the world is for our elected officials to cut down their excessive bleeding of state resources under the guise of salaries and allowances while such is used to provide a meaningful life for the Nigerian worker. The newly proposed minimum wage is retrogressive and it portends a bleak future for the Nigerian workers. SAD!